Tour the Penfolds vinyards, and then make your own legendary bottle of wine to take home. An inexpensive wine tour in the Barossa Valley with an experience of a lifetime! Tour the Penfolds vinyards, and then make your own legendary bottle of wine to take home. The Barossa has always been synonymous with Australia’s most famous reds. Penfolds Grange Hermitage lives here. As does Henschke’s Hill Of Grace. And, more importantly, so can you. 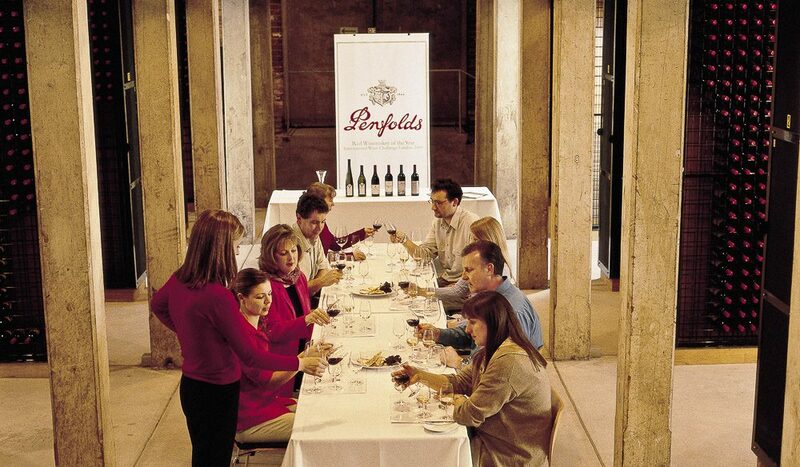 The Penfolds cellar door in the Barossa has opened Australia’s first “Make Your Own Blend” experience. That’s right – after a short walking tour of the winery and cellars, you then descend to the lab and get to blend Grenache, Shiraz and Mourvedre to craft your own delicious drop. And those wines are taken from the same barrels that are used to create Penfolds famous Bin 138. Once you’ve finished having a stab at greatness, your efforts are bottled for you to take home. It’s $45 to experience this thrill, and the take-home bottle is included in that price. It even comes with a fancy Penfolds label and your name as the winemaker! WHERE // Penfolds Barossa Valley Cellar Door. www.penfolds.comor call the cellar door directly on (08) 8568 9408. Cost $65 with a minimum of two people required. DID YOU KNOW? // The lab you use to create your own blend is the very same one used that created Penfolds Grange Hermitage! Perhaps you’ll be able to show those Grange winemakers a thing or two . . .